Uber took another step toward becoming the king of mobility-on-demand on Wednesday by integrating electric bicycle rental, public transit, and car sharing into its mobile app. Uber Rent: In a deal with an online car-sharing service, Uber users will now have the opportunity to rent cars from private car owners. Owners will be able to rent out their cars for payment, set their rental prices, and earn a 60% commission. The service begins this month in San Francisco. Masabi public transportation ticketing: Using the Uber app, public transport riders will be able to buy and use bus and rail tickets. At present, Masabi has partnerships with public transportation providers in Boston, London, Athens, Las Vegas, and Los Angeles. Uber Bike: In a co-venture with JUMP Bikes, Uber has added a dockless electric bicycle sharing system to its app lineup. Now operating in San Francisco and Washington, D.C., JUMP Bikes cost $2 to rent for the first half-hour, then 7¢ per minute afterward. “We’re particularly excited about JUMP Bikes because they can provide a convenient and environmentally friendly ride that’s often faster, especially in dense cities where space is limited and roads can be congested,” said Khosrowshahi. Careful not to wind up on the wrong side of a rider or driver’s privacy or catch heat from the government, Uber also announced that it’s teaming up with the Washington D.C. Departments of Transportation and For Hire Vehicles and non-profit SharedStreets to create new standards for public-private collaboration and the exchange of transport-related data. To get there, the company is starting a pilot program in D.C. to share “curb usage” data across all modes of transportation. “Better understanding curb utilization can help cities around the world prepare for a future where more and more of us are accessing transportation through a combination of shared modes, rather than relying on our own vehicles,” said Khosrowshahi. Vehicle-sharing and transportation apps are giving consumers an added incentive to wean themselves away from car ownership. After housing, transportation is the second-largest household expense, and driving ranks high on most everyone’s stress list. Plus, in an age where we’re tethered to our phones, having someone else get us from point A to point B gives us more time to stay connected. 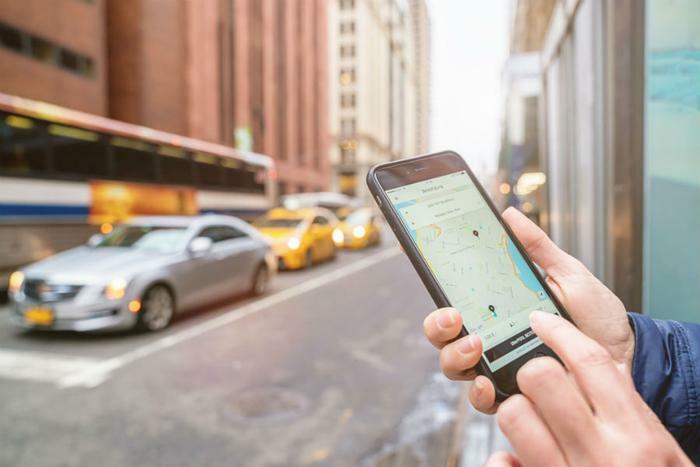 FIguring that it’s the millennial generation who’ll be driving transportation’s future, Uber’s plans make perfect sense for both its business model and customer base. A poll by the Urban Land Institute contends that having access to public transportation is a “very important” factor for millennials when deciding where to live and where to work. Nearly 80 percent of those polled said having access to public transportation was essential in choosing where to live, and 78% said having transit close to where they live was important -- advantages that outweigh things like an office gym, cafeteria, coffee bar, or proximity to restaurants and nightlife. In addition, the perk of employer-funded transit passes is viewed as being more important to job satisfaction than having access to parking.